Last week’s college football picks went well - Stanford beat up on Notre Dame, and Oregon State stuck closer to Boise State than the spread. With our week 5 college football picks and odds let’s hope we can continue the success. 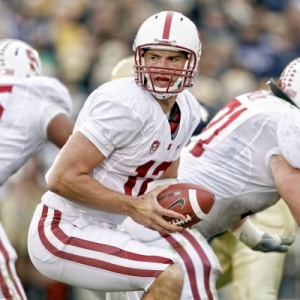 Stanford +7 at Oregon (Saturday, Oct. 2, 8 pm ET) - This is the second straight week that I have been on Stanford, and I just don’t think that the value is gone from them yet. This is a very good team. Stanford has played twice on the road, and they have beaten teams that aren’t terrible - UCLA and Notre Dame - very easily. This is a much tougher opponent, but they are seasoned on the road in hostile environments. Oregon has put up some serious numbers this year, but I’m not as impressed by that as I could be. New Mexico and Portland State are totally meaningless opponents, so beating them as badly as Oregon did means nothing. They also beat up on Tennessee – again, not an impressive opponent at this point. Their fourth win against Arizona State was by far the closest, and the Sun Devils aren’t nearly as good as the Cardinal. Stanford’s offense is better and their defense is much better. Oregon is going to struggle to score at quite the pace they have so far, and they are going to be tested defensively more than they have been. They haven’t seen a quarterback anything close to like Andrew Luck. Luck is a very cerebral player as well, so he’s going to have learned a lot from his two interceptions last week, and he’ll have adjusted and improved as a result. I expect Stanford to win this one outright, but even if they don’t the fact that the game can be found at or even above the key number of seven represents major value for the Cardinal. Nevada +20.5 at UNLV (Saturday, Oct. 2, 10 pm ET) - Nevada is a very legitimate team this year, and the pollsters finally took note last week by giving them the last spot in the Top 25. They have an accurate, impressive quarterback in Colin Kaepernick, and he leads a deep and talented offense. This is the team that beat up on a solid Cal team two weeks ago, and then was disciplined enough to avoid any signs of a letdown on a trip to BYU the next week. Now they play a rivalry game against a badly outmatched opponent, and they are smart enough to know that the only way they are going to stay ranked is to win and win impressively. UNLV is a lousy football team. They have been beaten badly three times, and their only win - against New Mexico - shouldn’t count because the Lobos are so bad. They are making a coaching transition, they are low on talent, and they have been hit hard with injuries. They are struggling to find a quarterback solution that they can really settle on, and the results so far aren’t particularly encouraging. They have lost their three games by 20, 23 and 28 points, and this is the toughest opponent they have faced yet. It’s hard to be optimistic. Nevada has a history of success in this rivalry. They won 63-28 last year, and they have won five straight. They are dramatically better with much more to play for. This is their spot. I look for Nevada to open up a lead bigger than the spread quickly, and I don’t expect them to let their feet off the gas. This one could get ugly. Doc’s Sports has become known in nearly four decades in the sports handicapping business as one of the brightest and most successful college football handicappers in the nation and Doc has a big Game of the Year in college going this weekend and this will be one of the highest rated picks of the season. This pick is out of the Big Ten (8 p.m. EST kickoff), where Doc has become an expert since the early 1970s. Here ay Doc’s Sports we provide both college football picks and NFL picks in one package so you can get the best of both worlds for all your football betting needs. Check our homepage for up-to-the-minute college football odds and daily exclusive college football betting articles.